After 30 years, Volkswagen is making a comeback to Pikes Peak to settle some unfinished business. In the midst of all the Tokyo Motor Show concept car teasers, Volkswagen has released a selection of teaser images previewing something rather extreme.This is no concept car, however. Following teaser images released on social media, Volkswagen has announced it’s developing an extreme all-electric race car prototype that will be compete in the gruelling Pikes Peak International Hill Climb next year. Little is shown, but the race car has a distinctive design. Images show the electric race car’s aerodynamic exterior featuring massive wings at the front and rear highlighted with blue accents. Volkswagen will be entering the all-wheel drive prototype at next year’s Pikes Peak Hill Climb on June 24 2018, where the automaker will attempt to set a new record time for electric cars. The current record was set at this year’s Pikes Peak by the Faraday Future EV, which conquered the 12.42-mile Colorado circuit in 11 minutes and 25 seconds, setting a new production EV record that beat the Tesla Model S. No powertrain details have been revealed, but it’s not surprising to learn that it will be electric given VW’s current focus to become a leading EV manufacturer with its upcoming I.D. range. 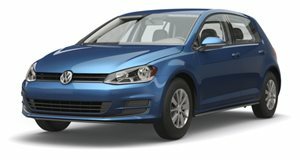 By 2025, the there will be 23 electric models in VW’s line-up. "The Pikes Peak hill climb is one of the world’s most renowned car races. It poses an enormous challenge and is therefore perfectly suited to proving the capabilities of upcoming technologies," said VW's Dr Frank Welsch. "The project is also an important milestone in our new motorsport orientation. Our team is literally electrified about taking on this incredible challenge." Volkswagen has some unfinished business to settle at Pikes Peak. Back in 1987, Volkswagen entered a unique Golf GTI with two 1.8-liter engines, but it was forced to retire just two turns before the finish line due to suspension issues. Over 30 years later, Volkswagen is making a belated comeback to Pikes Peak to settle the score. "It is high time for a rematch," Smeets said.